Step 1.After facial cleaning, put this mask on your face and adjust the edge of mask to fit on your face. Step 2.Enjoy a time for 15-20 minutes of face mask, you may read books,watch TV or do exercises meanwhile. Step 3.Gently remove the mask from bottom to top, you need not to clean it soon. Step 4.Gently massage until the essence liquid on the face is completely absorbed. 1.The mask is disposable, please don’t reuse. 2.Once the liquid goes into eyes accidentally, please wash immediately with clean water. 3.People with skin trauma is not recommended to use the mask. 4.People with sensitive skin should do a small-area test on the back of hand or ear before use. 5.Advice for the first time user: Please use this mask 2-3 times a week. After a week, use the mask once a day. Or use in the morning and at night daily. 6.Advice for Storage: Store the mask in a cool dry place and avoid direct sunlight. Chinese mask very well know. Do not doubt their efektivnosti. AND BIOAQBA-best store. It 'S for 3 weeks. Track is not monitored. IN Евпаторию about 1,5 a month. No contact with. Packed in pupyrku. Masks like. It's all very well packed, and less than a month, has not yet been tried. Oochen fast shipping track, the store do not mistake, put all you ordered, packed in the conscience. recommend seller and goods. all of the upper class, super! 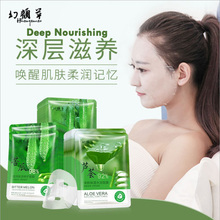 Mask moisturizing and soothing skin, smell nice. Came To Novosibirska for 6 days!!!! All was well packed. Thank You very much!